Cheltenham, said to be the most complete regency town in England, offers an ideal base from which to explore the Cotswolds. Originally an Anglo-Saxon settlement, the town was described in the writings of Alfred the Great as a peaceful place on the banks of the River Chelt. By the 13th century Cheltenham was known for its bustling fairs and markets but it was not until the accidental discovery of natural healing waters in 1716 that the town truly rose out of obscurity. Legend has it that the locals noticed pigeons pecking at salt deposits on what was to be the site of the first spring, discovered in 1716 and now part of Cheltenham Ladies College. They found that the waters were helpful in easing many of their most common ailments and before long the first pump room had been built by local man William Mason. Mason's son-in-law, the entrepreneur Captain Henry Skillicorne, added a meeting room, a ballroom and numerous walks and rides that were to give Cheltenham its status as a spa town. Handel and Samuel Johnson were among the first visitors, but it was the visit of King George III, who came for five weeks with his family in 1788, that gave the town its furiously fashionable appeal. 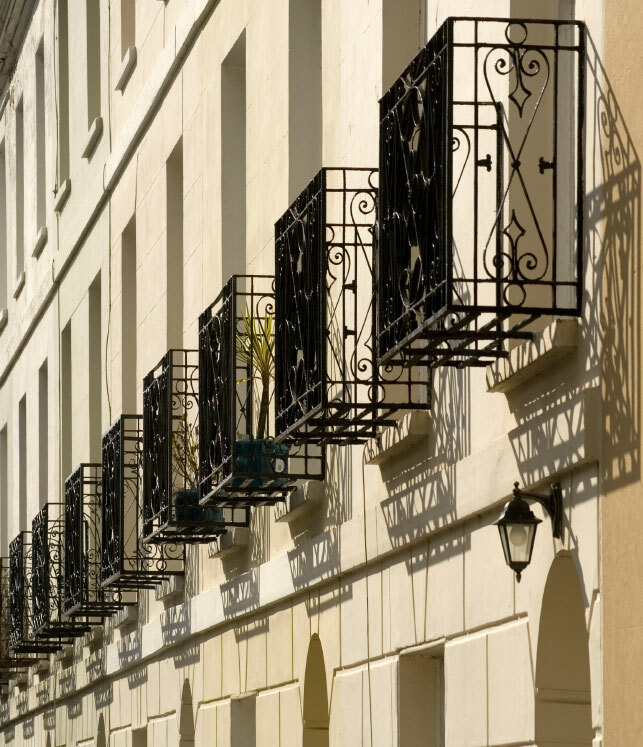 A planned new town was constructed based on the best features of Neoclassical Regency architecture, such as intricate ironwork balconies, painted stucco facades and the caryatids, handsome figures based on the Acropolis, that separate the parade of speciality shops in the Montpellier district. 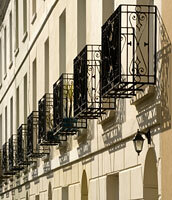 This focus on Regency architecture has meant that very few truly ancient buildings remain. The Church of St Mary is one of these few, with parts dating back to the 12th century. Skillicorne's walks and rides can still be seen to some extent today in the gorgeous tree-lined promenade, thought by many to be the most beautiful boulevard in England. The crowning glory of the promenade is Neptune's Fountain, dating from 1893 and modelled on the Fontana di Trevi in Rome. Leaving the centre of town via this tree-lined promenade will bring you to the Imperial Gardens, which is just one of Cheltenham's many renowned parks. The Imperial Gardens play host each summer to an exhibition of art by local artists. At the other end of the town is Pitville Park, which conatins an 18-hole pitch and putt, tennis courts, spacious lawns, colourful flower beds and two scenic lakes. The park is also home to the Pitville Pump Room Museum, where, if you are feeling courageous, the spa waters can still be tasted. The museum houses Cheltenham's Gallery of Fashion, which uses original period costumes to bring alive the story of the town from its Regency heyday right up until the 1960s. Back in the centre is the Cheltenham Art Gallery and Museum, one of only fifty-two museums in the country that is officially recognised as containing an outstanding collection. In this case the collection comprises furniture, silver, jewellery, ceramics, carvings and textiles produced by members of the Arts and Crafts movement. The museum also houses a fine collection of paintings from the 17th century onwards as well as displays on the history and archaeology of the Cotswolds. Art continues to play a part in the life of today's town, with two remarkable modern pieces on prominent display in busy public spaces. 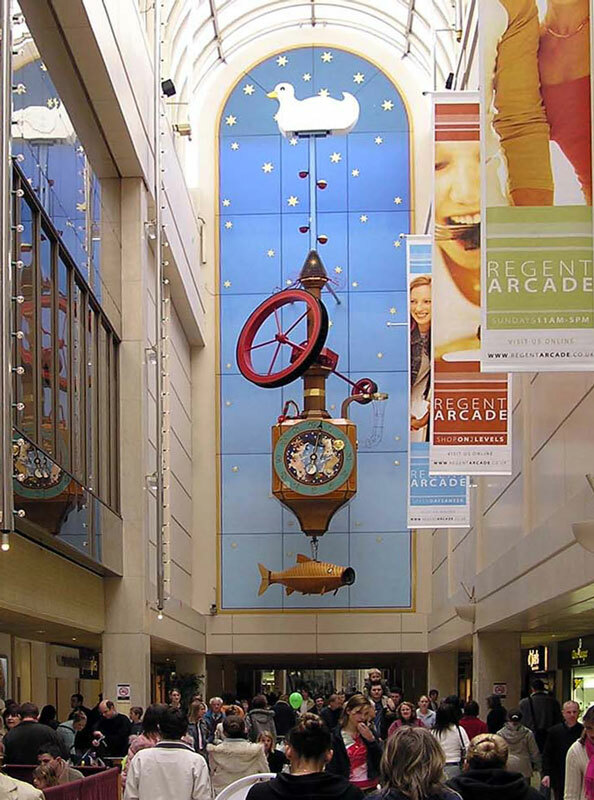 One of these, in the Regent Arcade, is the highly bizarre Wishing Fish Clock, a work in metal by Kit Williams that comprises a clock from which a mouse pops out when disturbed by the arrival of an egg laid by a duck high above him and from which is suspended a twelve foot fish that marks the hour by swishing its tail and blowing bubbles. The mechanical parts of the clock were made by famous local clockmaker, Michael Harding. Music has also played a part in the history of the town. Gustav Holst, the famous composer of 'The Planets', was born in Cheltenham and a terraced Regency house on Clarence Road is now home to the Gustav Holst Birthplace Museum and Period House. As the name suggests, the museum which contains the story of his life and works including his original piano, a working kitchen, a Regency drawing room and a nursery. 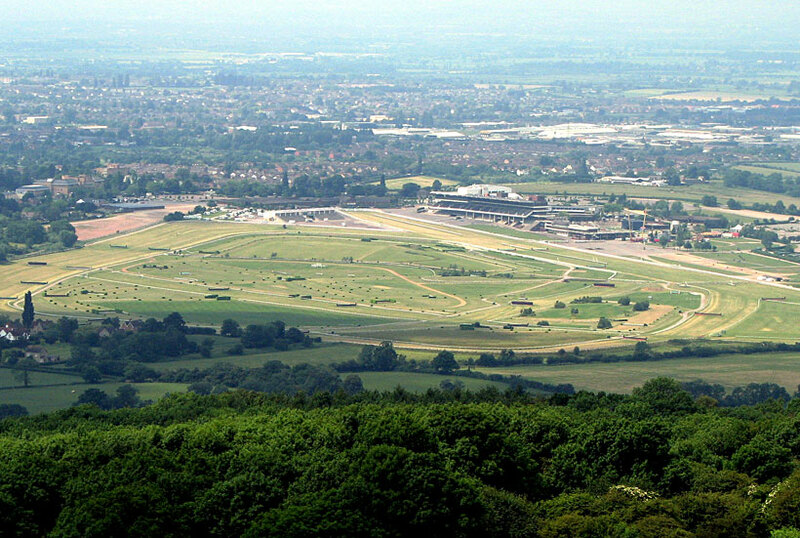 No visit to the town would be complete without a look at the Cheltenham Racecourse just two miles north of the town. The racecourse is the home of National Hunt Racing and stages numerous top-end races culminating in the March festival during which the Gold Cup and the Champion Hurdle find that year's overall best steeplechaser and hurdler. Festivals characterise the town's modern personality, with at least half a dozen taking place regularly every year. The most famous and long-running of these is probably the International Festival of Music, which began in 1945 and is now one of the best-regarded in the world, taking place in venues across the town during July and accompanied by a well-supported fringe. The international Jazz Festival, started in 1996, continues to grow in stature and has attracted the likes of Marti Pellow, Madeleine Peyroux, Marti Pellow and the Cinematic Orchestra, among many others. Add to that October's international festival of literature, February's folk festival, the science festival and the County Cricket festival and the town easily deserves its reputation as a thriving artistic centre.